The evening of 17th April 2016 had a fin-de-siécle feel about it – SniggWaffe had turned 10 years old and the corp was looking forward to a new era, one much looser, freer in its approach. The rigidity of ship doctrines of the first decade was to be cast away, replaced by a more fluid, laissez-faire approach in our application. I am specifically talking about Tech 3 cruisers, pirate battleships and capital class vessels – fleet compositions which Waffles not only avoided, but downright discouraged. This was done for good reasons, one of which is where Sniggwaffe for a long time has stood in the ever shifting landscapes in the PvP wildlands of lowsec and nullsec space. We have, despite our old graduation system of feeding ready players into Sniggerdly, maintained a consistent size. Our activity requirements mean that those that are inactive eventually get removed from the ranks and are welcome to apply should the desire to play Eve reignite. All this means we have always had an accurate measure of our military capabilities; fleet doctrines such as Tech 3 cruisers, capitals and in general battleships if fielded in combat would not work out all too well. We weren’t the small fish in the pod by any measure, it’s just that there were bigger fish coexisting in the same waters. So the when the inevitable call for Tech 3 cruisers, capitals and pirate/faction battleships came, we always batted away at the suggestion, and our old forums were littered with many such threads. On the evening of April 17th, the corp put out two teams, A and B, both fielding faction battleships supported by triage Archons and an assortment of Tech 2 logi. Needless to say, it went just about as well as you would expect for a corp devoid of any capital and battleship fleet PvP experience. In the end we lost 32 billion ISK worth of ships. Once the dust had settled, rather than dishearten us, it gave us greater belief in the direction we had decided to take. However, it exposed our lack of experience with larger ships. But why now? Why have we decided to put away a decade-long, stable and, for a lack of a better word, conservative line of thought in favour of this new approach? The answer to that is not straightforward. It is the result of at least two years of constant adaptations to the shifting meta accumulating to where we as a corp find ourselves now. A brief history if I might. 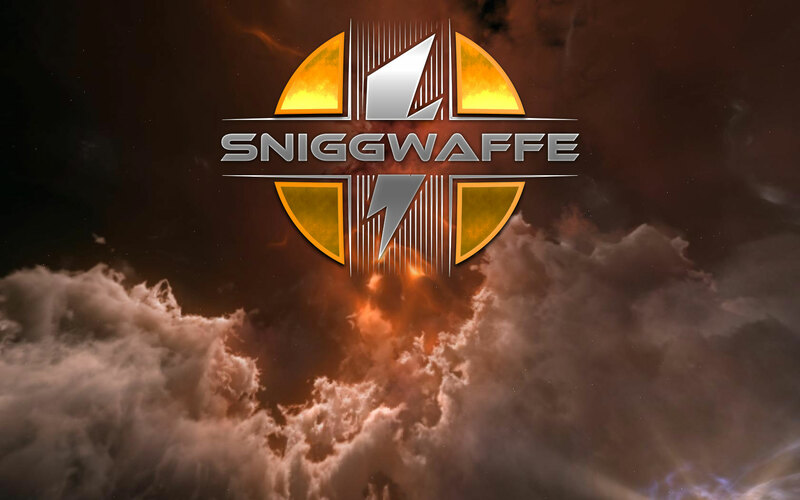 I first joined SniggWaffe during the Autumn of 2014 (I shall refer to this era as the first decade of Sniggwaffe). A few weeks prior to my arrival, the corporation had recently rolled out its first ever heavy assault cruiser doctrine – the Freedom Fleet. It’s primary backbone consisted of afterburner-fitted Eagles as the damage-dealing ship, Scimitars for logistics, and electronic warfare ships in the form of Lachasis’ and Huginns. SniggWaffe implemented the doctrine as the result of the meta change in the Black Rise lowsec. Many of the groups, some of which are no longer around today (RIP SCUM), and a few loosely affiliated Factional Ware corps, progressed from using primarily Tech 1 cruisers, to using Tier 3 battlecruiser doctrines, among which long range fit Nagas and Tornados were popular. The Eagle with its hefty levels of tank, small sig and long range weapons, was at the time a good counter to what the local lowsec meta had gradually evolved into. When first utilized, this doctrine was used to give one of the corp’s members a memorable send off. Subsequently, Freedom Fleet become the go-to doctrine for many late 2014 POS fights and player-run come kill a capital events in lowsec, including the infamous Revenant event which produced no killmail. For the first time in Sniggwaffe’s history, the corp had an official Tech 2 cruiser hull doctrine. However, most of our doctrines were still Tech 1 ships. They were and still are more engageable, fun and a good platform for most of our FCs and pilots to learn on. Mistakes were made and lessons learned, improvements were expected and more often than not attained. At the start of November, just before the Phoebe patch was released, SniggWaffe deployed to the single station system of Sendaya. Our goal: to entertain ourselves in the playgrounds of Catch and Providence, which at the time were home to Brave Newbies and Provi bloc respectively. The changes of Phoebe affected our hot- dropping activities, which were carried out at irregular intervals as roams into BNI’s space more often than not yielded good fights. Most of our interaction with capitals at the time consisted of us trying to unbubble Pandemic Legion’s bubbled capitals, and losing an untold amount of bombers for this. Sendeya was a fun deployment, we staged in lowsec and ventured into nullsec for fights, it was Sniggwaffe doing what it was good at in the purest sense – guerrilla warfare and playing the secondary support role well with Pandemic Legion. SniggWaffe returned to Black Rise to find a much changed landscape. During the three months we were away playing in nullsec, the winds of Phoebe had swept through lowsec and gave a much needed boost to localized capital engagements. The last time we had staged and fought in our home region was pre-Phoebe, and pre-Phoebe compared to post-Phoebe lowsec were completely different arenas. Previously, groups like Pandemic Legion, Northern Coalition. and the now defunct Black Legion could own high-end moons in lowsec and simply cyno chain down to their location with a massive capital force. That era was over, and space riches in the form of moons were very much up for grabs. Much had changed and we were also a SniggWaffe without it’s favoured son, Apothne, a regular FC who had now graduated to PL. Old groups had died, new ones formed, and smaller entities merged to form bigger ones. The lowsec landscape lost its diversity as a perpetual arms race went underway. Our old enemies the Gallente Militia had grown in size. If we were fighting slightly outnumbered against them before, the numbers were now stacked almost two to one this time around. We fought against them well at the start of 2015, relying a lot on our Eagle doctrine, but quickly found it too slow and cumbersome. After all, this was the era of the shield Ishtar, a ship made so incomprehensibly well rounded by CCP it had to be copied, and so we did. We used it in various POS fights against Razor Alliance, back when a decently sized and well motivated Razor fleet capable of a bite could be found in space. All around us towers burned, moons exchanged hands at regular intervals and the stakes grew higher as the fighting became more intense. But in the midst of the arms race, where our rivals introduced doctrines accompanied by the use of triage and supercapital fleets, Sniggwaffe hit the proverbial glass ceiling, not in our motivation for the fight, the desire to win or the drive to take the fight to our enemies, but in our ability to escalate. Tech 3 cruisers were out of the question, as soon as we would have introduced them we would have had a graduation cycle and in one fell swoop we would have lost many of our most capable pilots to our sister corp Sniggerdly. We dared to dream of bigger things, and so we introduced the Abaddon. I fondly remember us undocking them from the Kinakka station and the photogenic image of the system’s star reflecting its light against their majestic golden hulls. We were made aware of their weaknesses quickly however. I am not talking about the ones highlighted by EFT, nor about resistance stats, curving DPS graphs, tracking formulas and signature radius, I am talking about our sheer lack of experience in this class of vessel. Broken golden hulls littered the battlefield of our POS grid as we retreated, our inability to match our rival’s escalating capacity, in particular when it came to capital class ships, was laid bare. Our battleship experiment was, at least for that time being, over. Much of our time after the Abaddon welp was spent third-partying lowsec fights. Around this time, Snuff Box were gunning for a few of our most valuable towers and we took the opportunity for some semblance of revenge for our Abaddons during a tower fight alongside fellow PanFam members Pandemic Legion and Pandemic Horde. 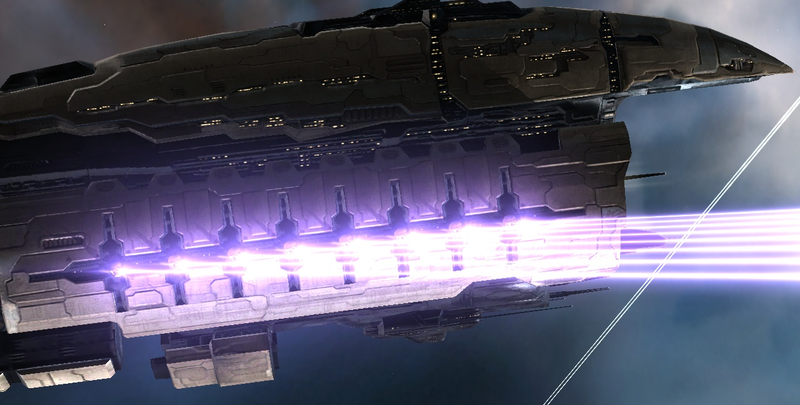 The introduction of Aegis sov breathed new life into Eve. It broke up the old large rental empires and enabled smaller corps without massive numbers of capital ships to engage in structure warfare. Aegis sov also brought a return to guerilla warfare, a style of fighting that SniggWaffe, due to our size, has always excelled at. In autumn 2015 that is precisely what we did when we deployed to Cloud Ring with Pandemic Horde. We adapted our doctrines to suit our objectives, introducing both Gila and Hurricane Fleet Issue fleets to counter what we were fighting when Ishtars clearly weren’t up to the job. We took systems and stations and carved up Cloud Ring primarily between ourselves, Horde and later on the French contingent of The Hero Coalition and Northern Coalition’s (NC.) feeder alliance, Northern Army. The deployment was fun until it was cut abruptly short by the Imperium mobilizing into the area. We lost Cloud Ring and headed for lowsec. The Imperium followed and any moons we had left were abruptly removed from our possession. We simply couldn’t compete with the numbers they were capable of fielding. Longevity in Eve is a word often used and frequently misunderstood. After existing for 10 years in a game 13 years old, it is clear that it is an attribute Waffles have displayed. For perspective, SniggWaffe has been a feeder corp to Sniggerdly since its inception. 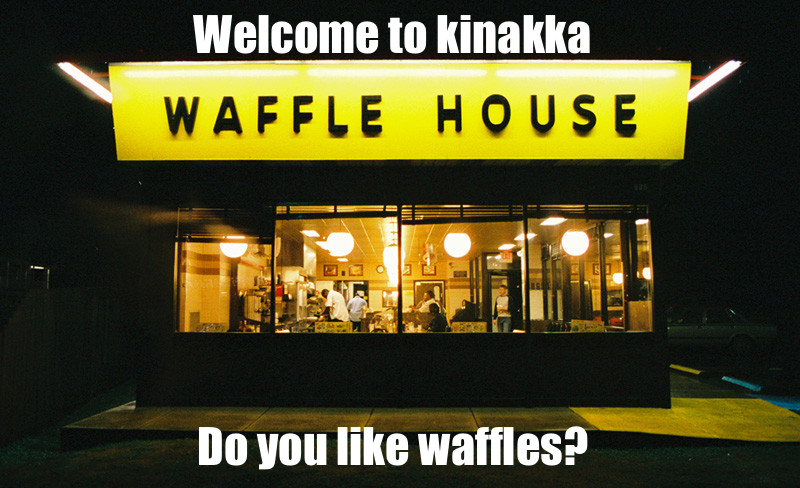 Waffles recruit people and eventually a proportion of that total number joins Sniggerdly. We remove inactive pilots from the corp who fail to meet our kill quota. When both of the aforementioned events occur around the same time we experience a significant trough, otherwise known internally as a ’Dotlan dive’. We then actively recruit once again, confident that the remaining pilots in corp can step up and fill the seats previously occupied by the most useful pilots no longer with us. The risk of going through such regular peaks and troughs is the potential of failing to recover from a dip in numbers, but despite this, SniggWaffe has maintained its status as the most active PvP corp per member in Eve. Throughout the 10 years, the corp has undergone various iterations while under the command of different leaders (normally Sniggerdly members), all of whom have evolved the corp to its next stage of development. As a result, SniggWaffe has constantly reinvented itself, adapting to the shifting sands that are Eve’s core mechanics. As the second decade of Waffles approached, our CEO Reza Najafi decided now was the time to unshackle the corp. We fielded our first Tech 3 cruiser fleet in 0.0 alongside Pandemic Legion in the current World War Bee. The doctrine has been successfully employed several times since. We have increased the proliferation and use of dreadnoughts in fights other than structure bashes. With CCP hitting the reset button on capitals, now was the perfect time for the corp to learn and experiment with capitals to discover their true potential. Undoubtedly, some will be lost, but that is an intended cost when finding the true engagement envelope. The success of SniggWaffe in it’s second decade will not be determined by how many people we recruit, how many Tech 3 cruisers we field or how many people we have in our capital group. Instead, it will rest squarely on our ability to cope with the inevitable loss of capital ships in large engagements, something the corp has struggled with previously. Rogue Lawyer is a director in Sniggwaffe, likes ice-cream, and has an unhealthy addiction to sweets. Remember folks, it’s all just pixels and friendship is the best ship.